Security Man Ltd provides executive protection for high net worth individuals and groups, from risk of violence, kidnapping or other situations that can be potentially harmful. We can provide fully licensed Close Protection Officers who are relevant to your exact requirements, with the experience and training pertinent to the duties with which they are tasked. All of our Close Protection Operatives are SIA licensed and CRB checked. We also vet all of our operatives to BS 7858 2012 Vetting and Screening standard. Our operatives are put through extensive pre-deployment checks and training to ensure we deploy only the highest standard of operative. We can provide Close Protection Operatives for long or short term periods even at short notice. Our operatives can keep you safe and secure at your residence, place of work, whilst in transit or even when you are travelling abroad. As a company we believe that your business and your customers are the most important aspect of our business. Creating a good first and last impression is a critical role of being a good door supervisor and thus allows your customers to relax and enjoy their evening without fear of injury or harassment. 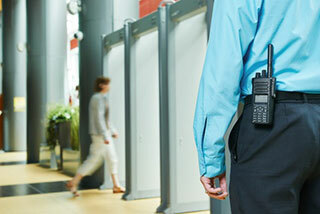 Door Supervision Services provided by Security Man Ltd help to protect your customers, your staff and your venue. Our door supervisors are meticulously chosen and are all SIA licensed so you can be sure that the reputation of your establishment is in good hands. Our Door Supervisors integrate and work as part of your team covering any entrances and exits vetting patrols to your requirements and help ensure compliance with any legal restrictions such as age restrictions checks or upholding licensing laws. 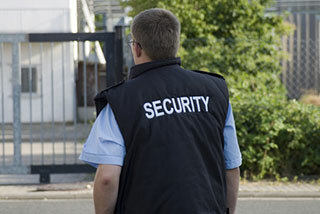 Security Man Ltd have a vast background and extensive experience in supplying professional Door Supervisors. 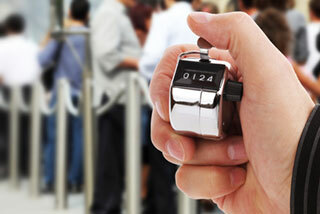 We are able to provide Door Supervisors for any length of time even at short notice. Please contact us for further information. Our manned guarding security officers are trained to the very highest standards, including appropriate Health and Safety instruction, and we go to great lengths to provide you with the staff whose skills best complement your business. Every contract is unique and we ensure we work closely with each client management team to provide a professional bespoke service. Our customer focused, professional and proactive approach ensures you receive a personal service specifically tailored to meet every aspect of our client’s security requirements. Whether a concert, corporate event, sporting competition, conference or public meeting, it is essential to ensure that all visitors enjoy a memorable experience in a safe and ordered environment. 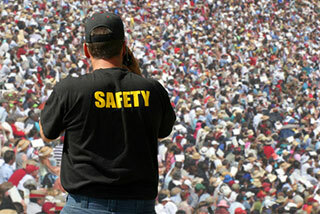 Security Man Ltd has the expertise to provide personnel to help manage and secure events, whatever their size. From highly-trained safety stewards, front-of-stage pit crews, ticket collection personnel, traffic management and VIP protection officers, Security Man Ltd covers every "hands-on" role. When you’re responsible for retail security, your top priorities are providing a safe working and shopping environment and helping store management reduce shrink. But as shoplifters and dishonest employees become increasingly savvy, it’s more challenging than ever to implement effective retail loss prevention strategies. Our commitment to security in the retail industry is reflected in our officers and managers who understand and meet your specialized needs and perform to the highest standards. Our Security Dogs and Handlers are all trained and qualified to BIPDT (British Institute of Professional Dog Trainers) and NASDU (National Association of Security Dog Users) standards whilst also holding a front line SIA License ensuring our clients of professional commitment in supplying the highest standards of service. Whilst on site our Security Dogs and Handlers provide the ultimate physical and psychological obstruction and deterrent to those who wish to commit or carry out any criminal activity. Our Security Dogs and Handlers ensure a superior degree of highly visible protection that enables us to deal with and engage in situations where perhaps a lone Security Officer would be ineffective, situations consisting of aggressive or multiple criminals, large groups of youths or anti-social behaviour. Security Man Ltd can provide Dog Patrol services throughout the UK. To enquire about patrol dogs for your premises or event, or any aspect of Site Security, please contact us.